Bacteria are single-celled, prokaryotic organisms that play vital roles in nutrient cycling and decomposition. Bacteria are the most diverse group of soil organisms, since a gram of soil may contain 20,000 different species. They have evolved mechanisms to adapt to life in the most extreme of environments, from the Antarctic to Amazon, from anaerobic wetlands to desiccated salt flats, from forest litter to deep groundwater, from sodic soils at pH 10 to acidic soils at pH 2. Bacteria are particularly important in regulating nutrient cycling and emission of trace greenhouse gases, such as methane. In forest ecosystems, bacteria affect the nitrogen through both symbiotic and heterotrophic activity. Symbiotic bacteria in association with tree species, such as alder, can fix large amounts of nitrogen. Hetrotrophic and autotrophic bacteria affect nitrogen cycling through the processes of nitrification and denitrification. 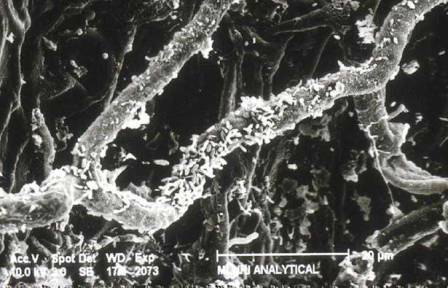 Bacteria in the rhizosphere can affect decomposition and nutrient cycling through their association with roots and root exudates.